Owen Perry, a partner in the highly successful “Villa Group”, has announced a number of updates in its Loreto, Baja Sur, Mexico projects. Cabo San Lucas, BCS, Mexico November 18, 2009 — Owen Perry, a partner in the highly successful “Villa Group”, has announced a number of updates in its Loreto, Baja Sur, Mexico projects. Scheduled for a mid-November opening will be the Hotel Santa Fe, a 125 room hotel in downtown Loreto; its sister property, also owned by the Villa Group, is located in Cabo San Lucas.. The Hotel Santa Fe is located at the entrance of the town of Loreto next to the famous “Domingo’s” restaurant. The downtown area of the resort town has been completely renovated. The government of Mexico has redone both the streets and the Malacone area. In addition, a new passenger terminal has opened which gives Loreto’s international airport state- of -the- art facilities. The new five star Villa Del Palmar- Loreto is under construction full speed. Perry says The Villa Group has “saved close to 40% from our original construction budget due to the low construction material and labor costs.” The new resort will open in October 2010. It is set with unobstructed views of the Sea of Cortez and Danzante Island; it is situated on pristine mile long sandy beach. Villa Del Palmar-Loreto includes, a 40,000 sq. ft., world class Spa and a variety of restaurants with casual snacks to elegant dining experiences. The property, themed as eco-friendly, is designed so the colors of the property blend into the natural scenery; low density lights allow the stars themselves to be the show at night. The property will be the largest of all the Villa Group’s properties (161 one-, two-, and three-bedroom villas) whose guests will enjoy a large common area and pools. The main pool with be shaped like a turtle. From high up it will actually resemble look like a large turtle, with its “legs” creating the outline for smaller pools which cascade into the larger sunken pool creating a water fall effect. Perry says the group has $60 million invested in Loreto and is strongly committed to the location. 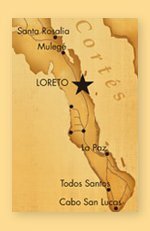 Loreto is located on the east coast of the Baja California Peninsula facing the Sea of Cortez in the largest protected sea park in the world. With practically no rain and a source of pure water coming from underground springs, it is surrounded by the Sierra La Giganta, one of Baja’s highest and most breathtaking mountain ranges. Loreto, an hour flight from San Diego and an hour and a half from Los Angeles, is one of five beach resort areas that was slated for development as a tourism destination by Mexico’s national trust for the promotion of tourism (FONATUR) 20 years ago. 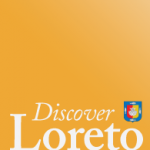 Loreto has a rich history dating back to the first mission of the California’s in 1697. But it is the beauty, weather and beaches that are making this location the next popular destination on the Baja peninsula. Founded in 1984, The Villa Group is one of Mexico’s leading privately owned real estate development companies. Its portfolio features beachfront timeshare resorts, with over 60,000 members, located in Puerto Vallarta, Nuevo Vallarta, and Los Cabos, as well as fractional, full-ownership luxury real estate developments, and hotels. Another new resort is planned to open in Cancun in 2010.